Oh my. 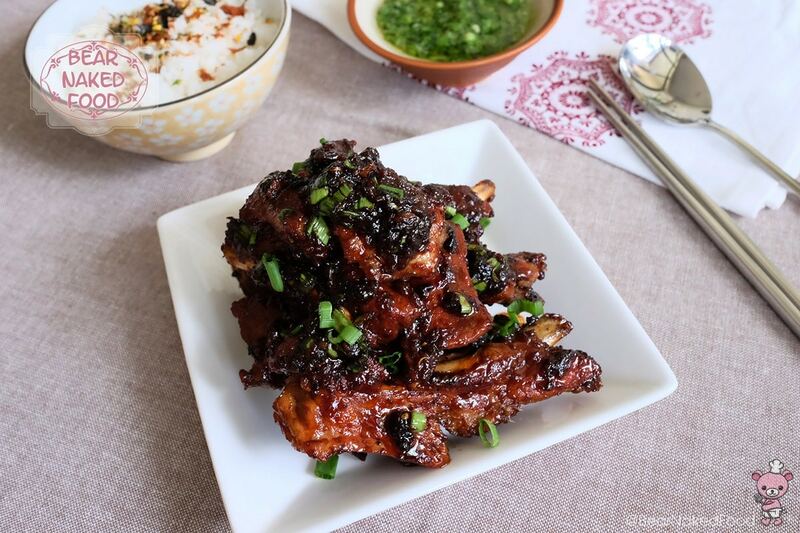 Writing this Filipino Adobo Glazed Pork Ribs post with a hungry stomach is definitely not a good idea. 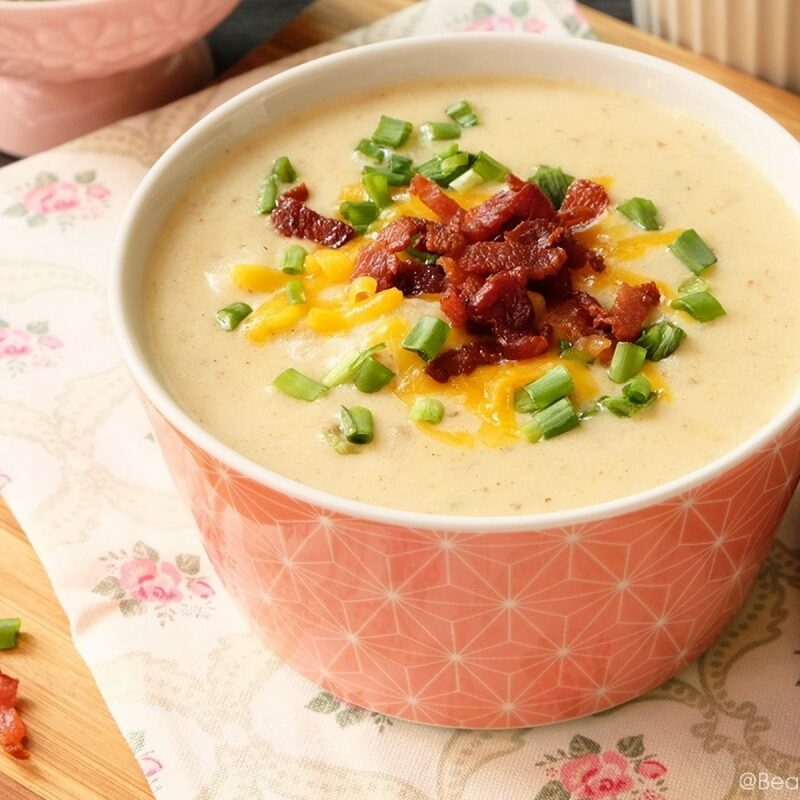 I’m developing a strong craving to make this again for dinner tonight. 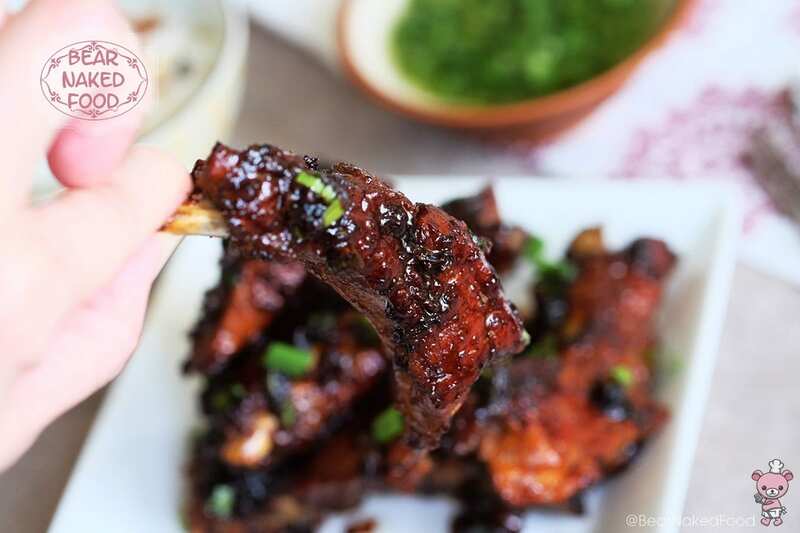 I can’t get enough of sinking my teeth into these fork-tender ribs glazed with that sticky layer of salty, sweet and tangy zing. Truth be told, this is NOT the traditional adobo marinade which consists of vinegar, soy sauce, garlic and black pepper. The original flavor profile is mainly salty and tangy. 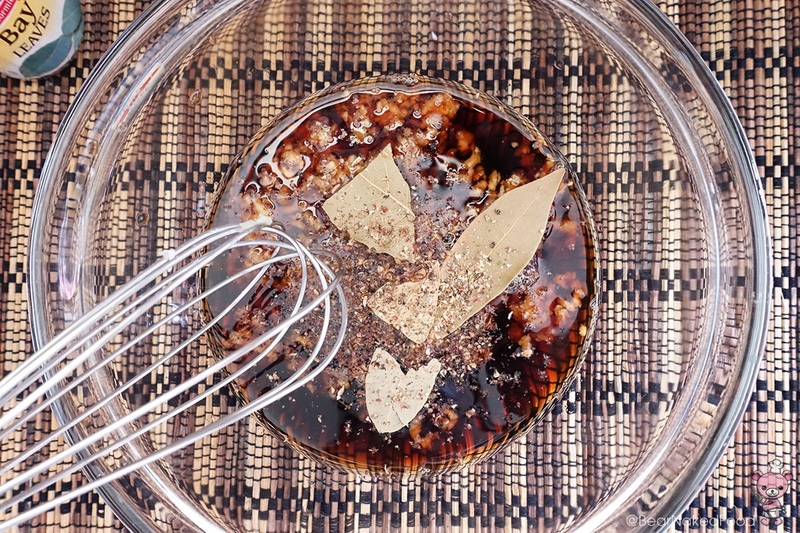 In this recipe, the addition of fish sauce, brown sugar and bay leaves is not common. 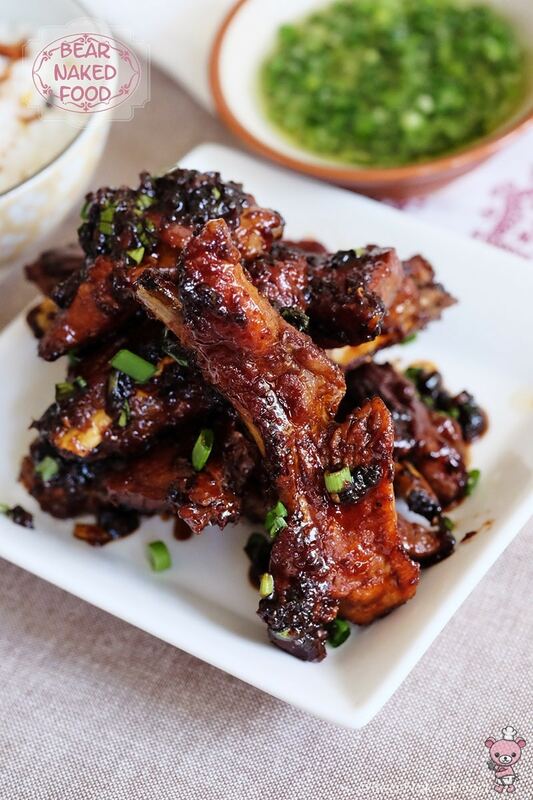 However, they lend another dimension of flavor to these fall-off-the-bone ribs and the sugar helps to caramelize and coat the sauce onto the ribs. So if you are an adobo-sauce purist, you might not approve of this “abomination”. Or perhaps, you could give this a try and let me know what you think? 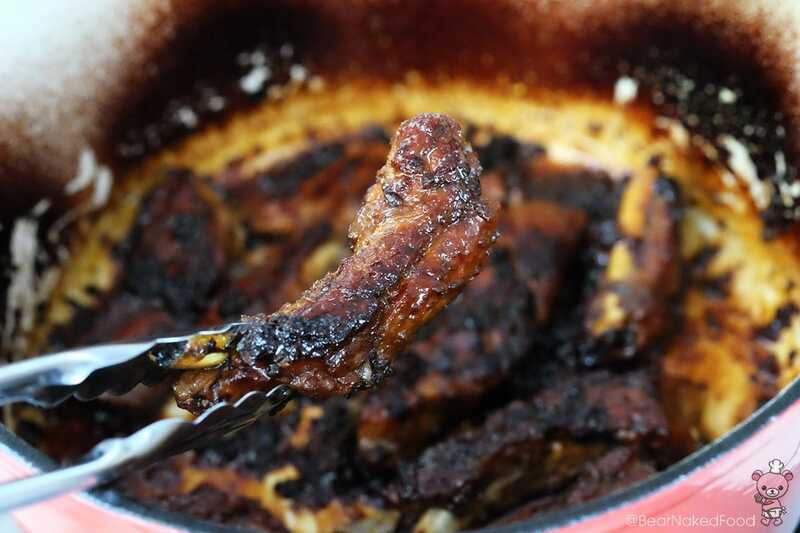 For this recipe, I browned the pork ribs in a cast iron pot and finished braising them in the oven. If you do not have a cast iron skillet, pan or pot, feel free to use any oven-safe dish or even roasting tray. Just remember to cover it with aluminum foil to prevent the sauce from splattering out while cooking. 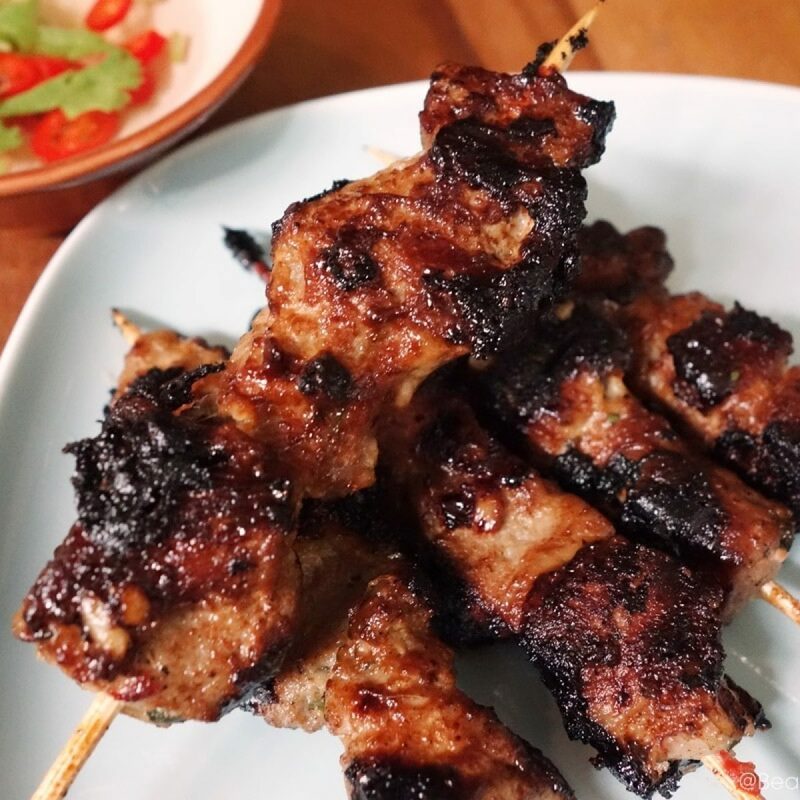 Besides pork ribs, you could also use pork belly, pork collar or even chicken thighs for variations. Either way, they will be finger-licking good. 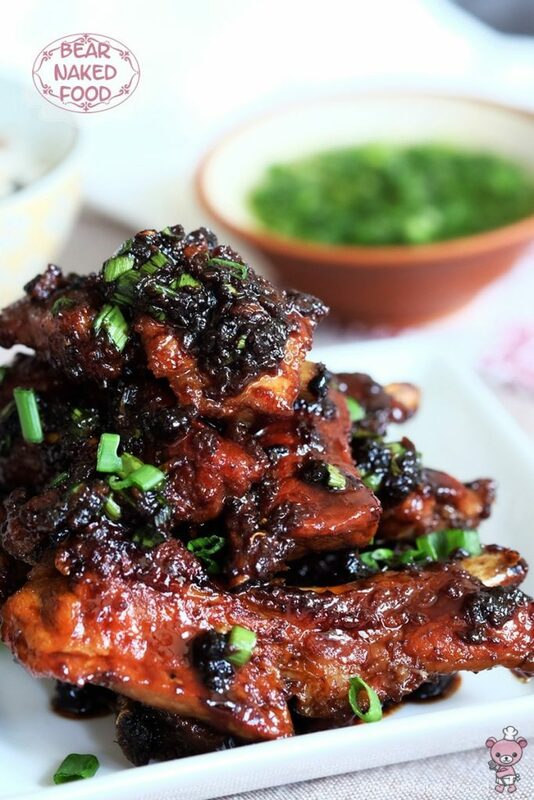 Like ebony and ivory, this dish pairs perfectly well with a bowl of piping hot steamed rice. 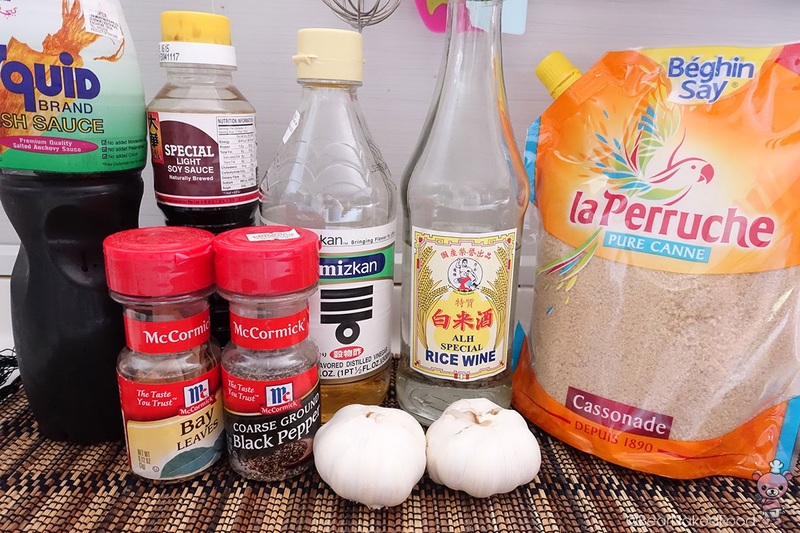 Combine all the ingredients for the marinade together in a bowl and whisk until the sugar has dissolved. Set aside. 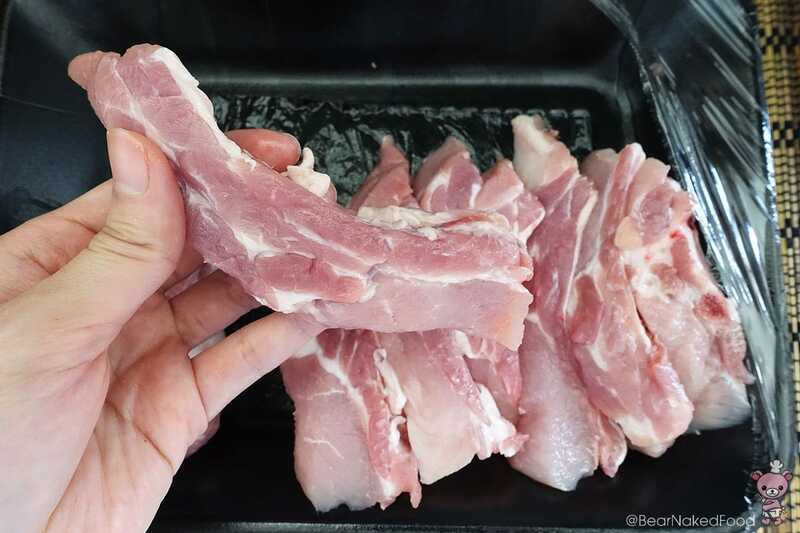 Wash and pat dry your pork ribs. I’m using long prime ribs. 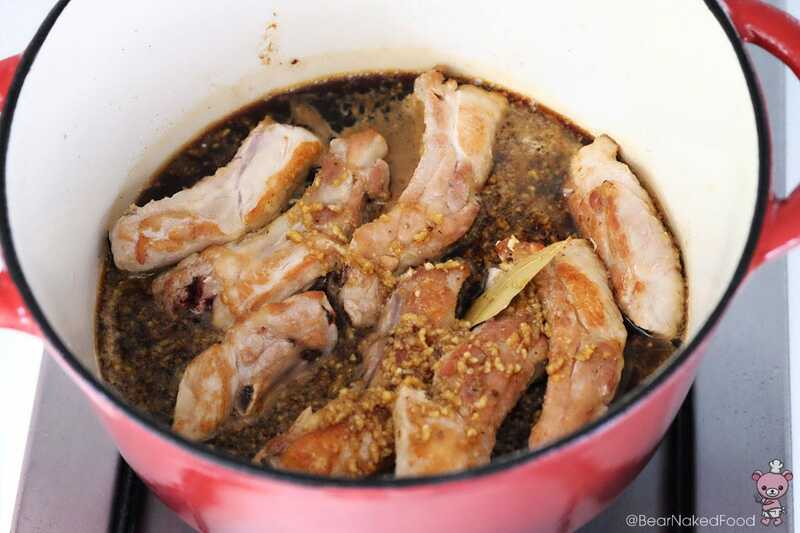 In a large skillet or cast iron pan, heat up 2 tbsp oil and when it is hot, add in pork ribs and brown on both side. Do not overcrowd the pan. If necessary, cook in 2 batches. I’m using a dutch oven. You could use a cast iron pan with lid or any oven safe dish with lid. You want a nice browning on the each side of the ribs. 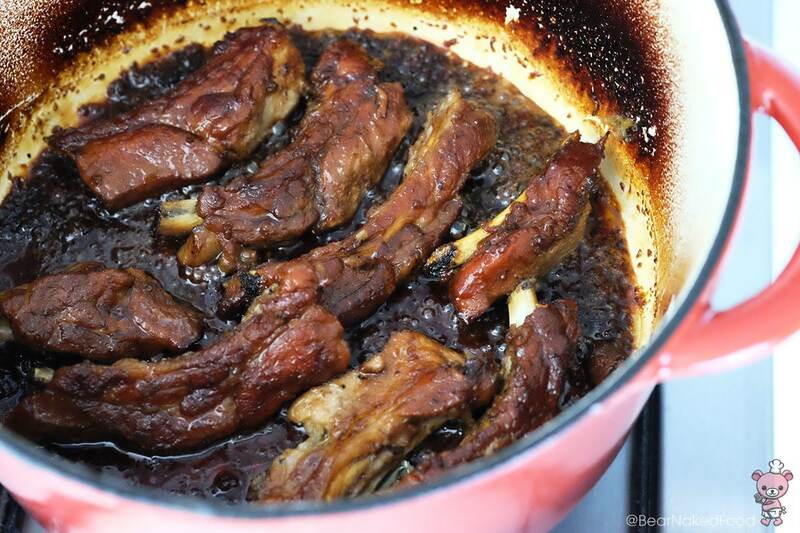 Return the pork ribs and its juices into the pan and pour in the marinade. 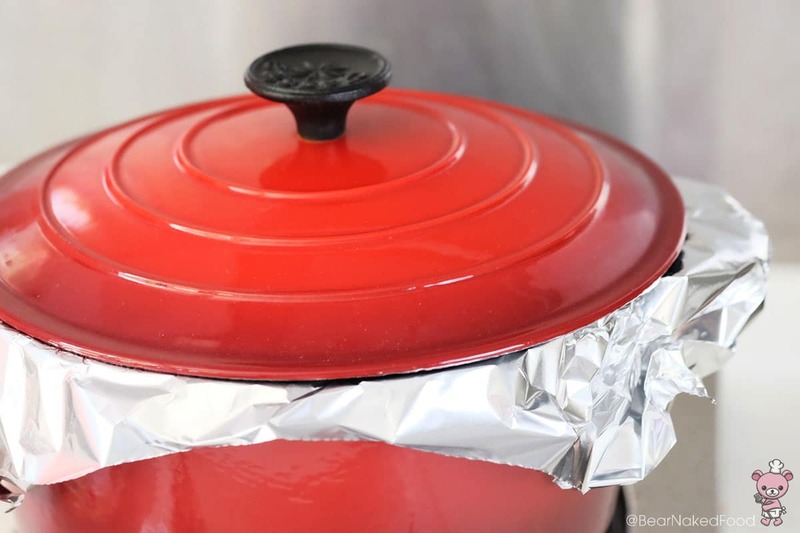 Cover with aluminum foil and pot cover. The aluminum foil will prevent the sauce from splattering onto the pot cover. Place in the oven and cook for approx. 60 mins until tender. 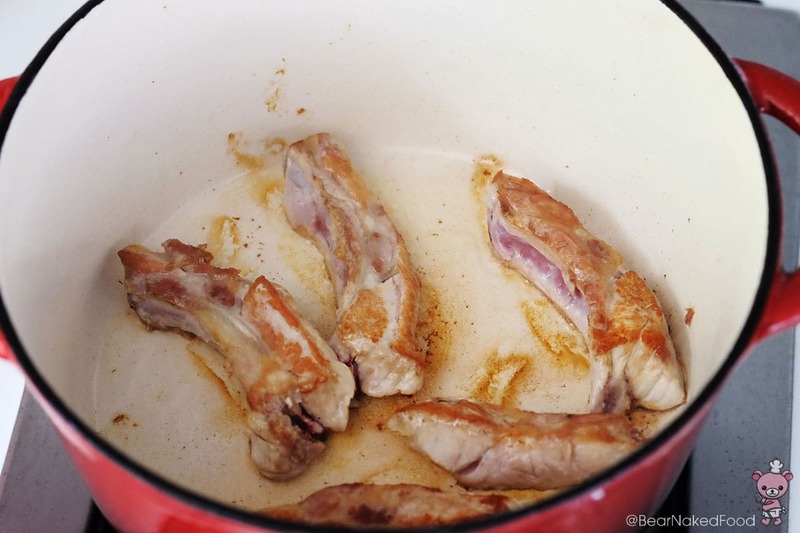 Flip the ribs once to ensure even color on all sides. After 60 mins in the oven. Remove from oven and continue to cook on the stove top for 10 mins uncovered. 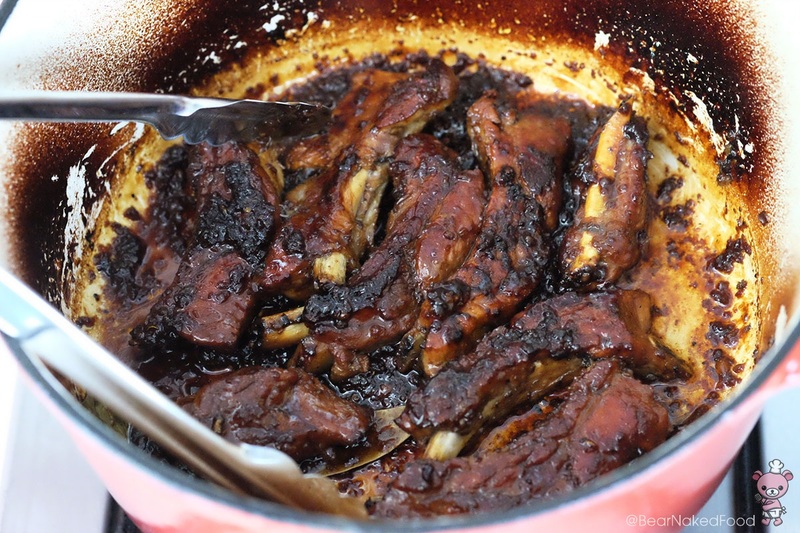 The sauce should be caramelized and coat the pork ribs. Turn off heat and place the pork ribs onto serving dish. Remove excess oil (if any) from the remaining sauce. 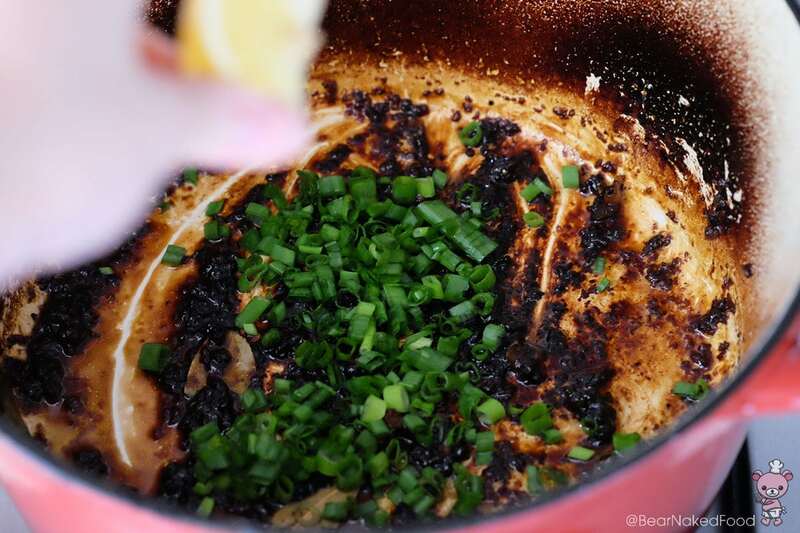 Add in chopped spring onions, lemon/lime juice and use a wooden spoon to scrap the bits from the bottom of the pan and mix well. 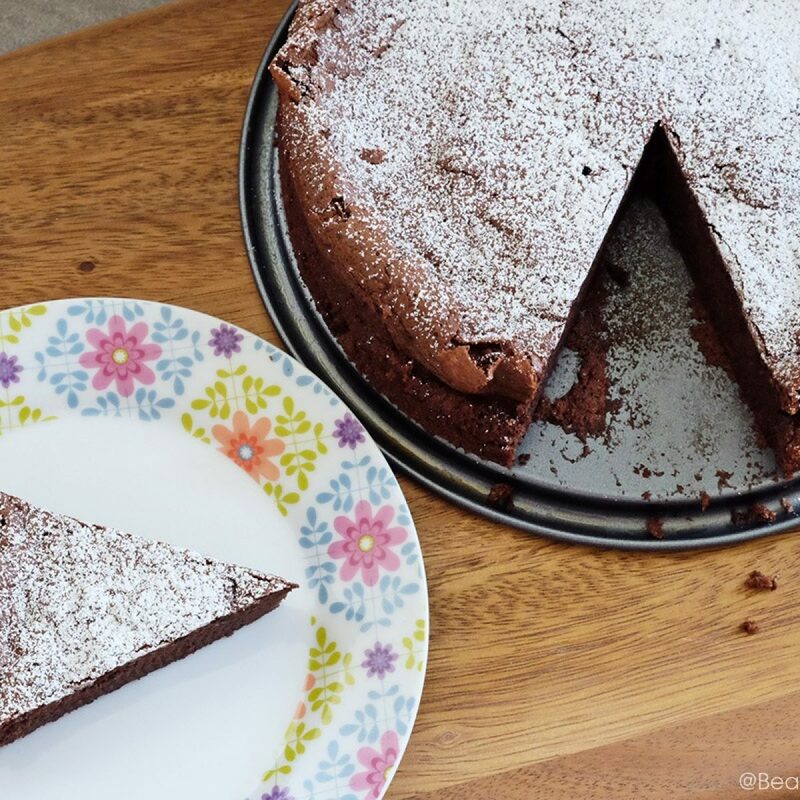 So much goodness in the pan! 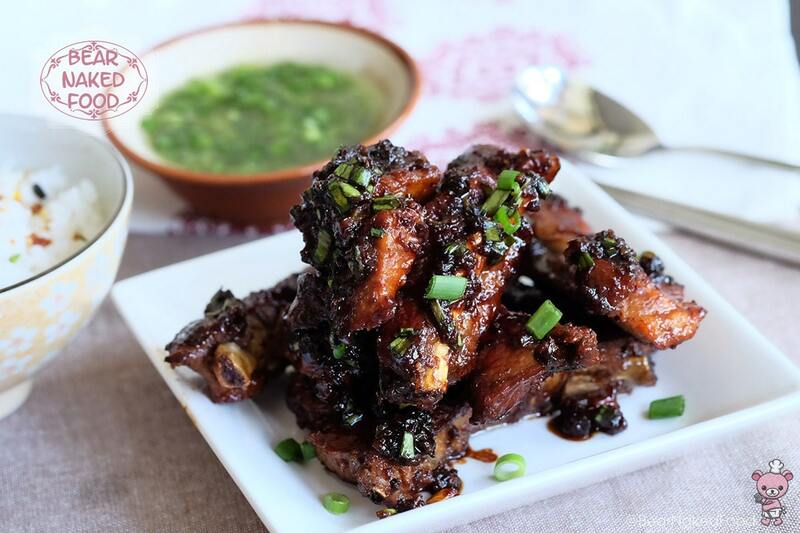 Pour the sauce all over the pork ribs and serve warm. Garnish with additional spring onions if you like. 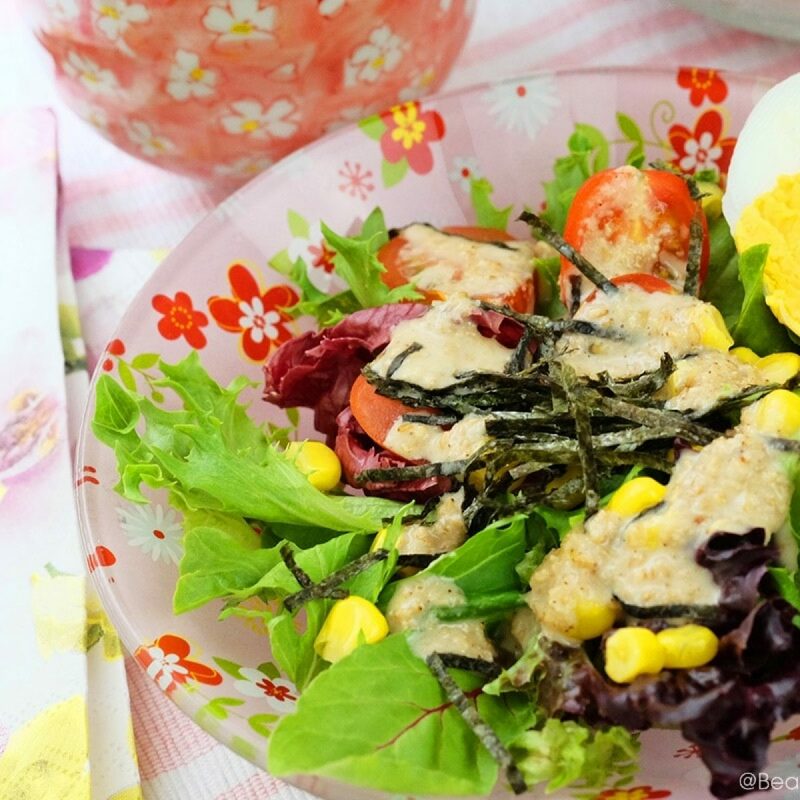 The dish goes especially well with steamed rice. 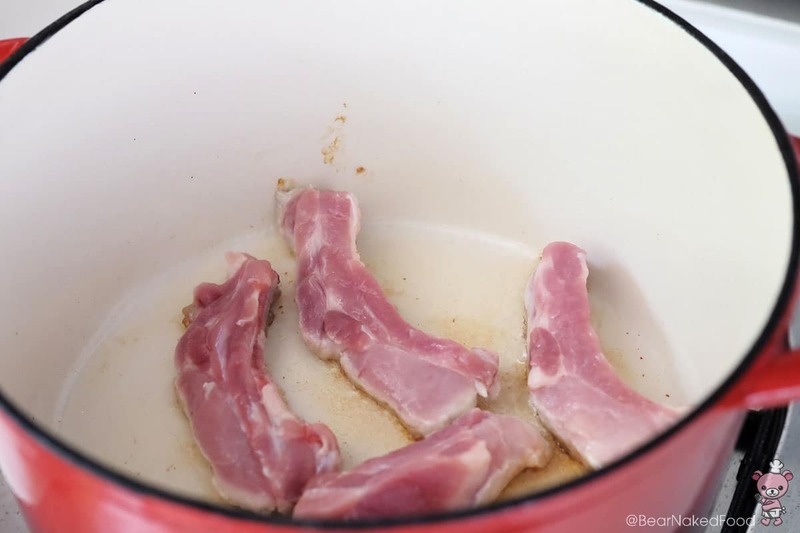 – If you are using pork belly or collar, reduce the cooking time to approx. 45 mins. 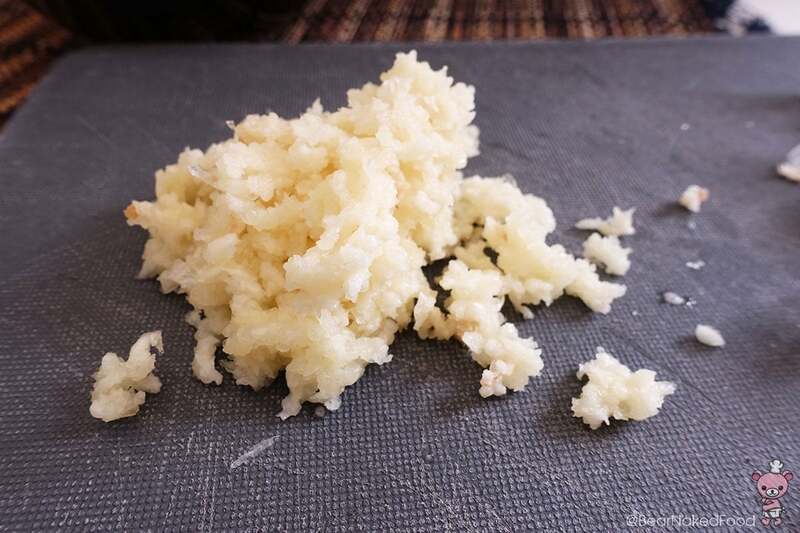 – If you are using chicken, reduce the cooking time to approx. 30 mins. 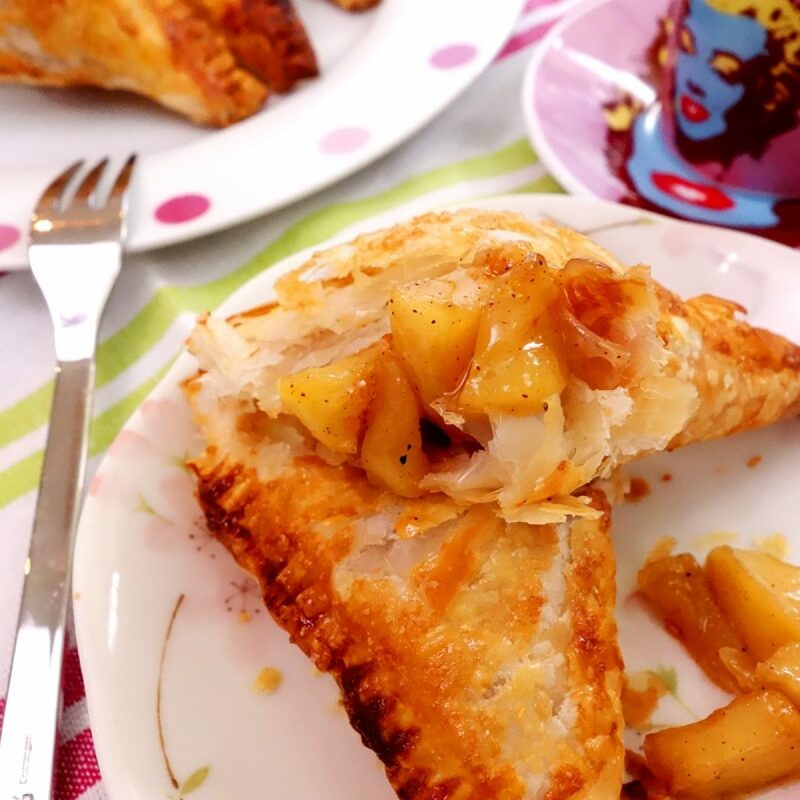 – If you do not have an oven, you could braise them over the stove top using the lowest heat.